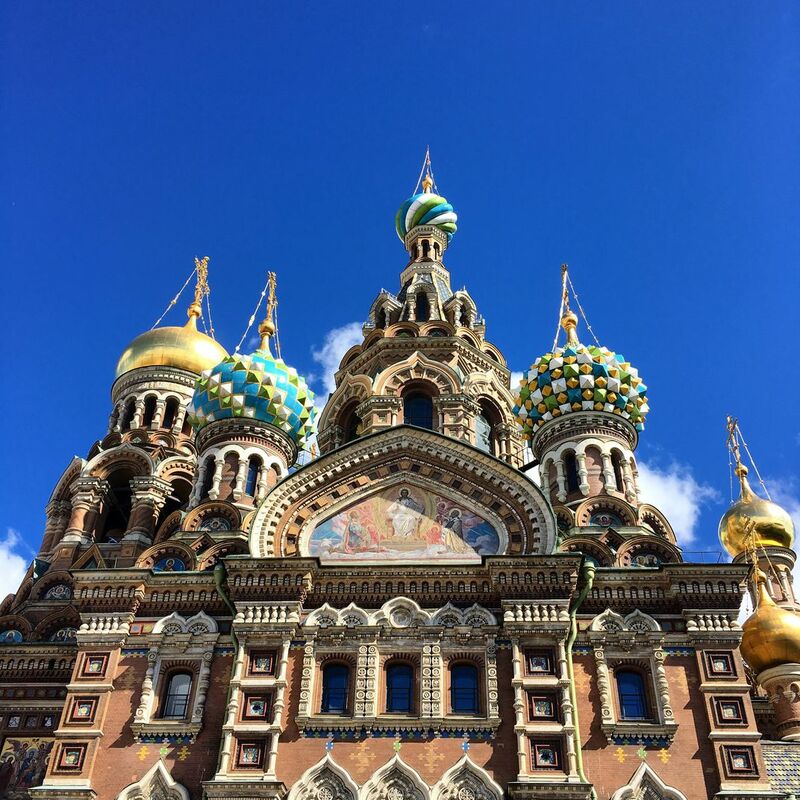 This is the Church of the Savior on Spilled Blood, or "Спас Hа Kрови" in St. Petersburg, Russia. It is a shrine, in honor of Tsar Alexander II, a museum of mosaics and memories. A breathtaking moment, stolen in the middle of a crowded and noisy St. Petersburg street, of the beauty reaching its hands to the open skies.